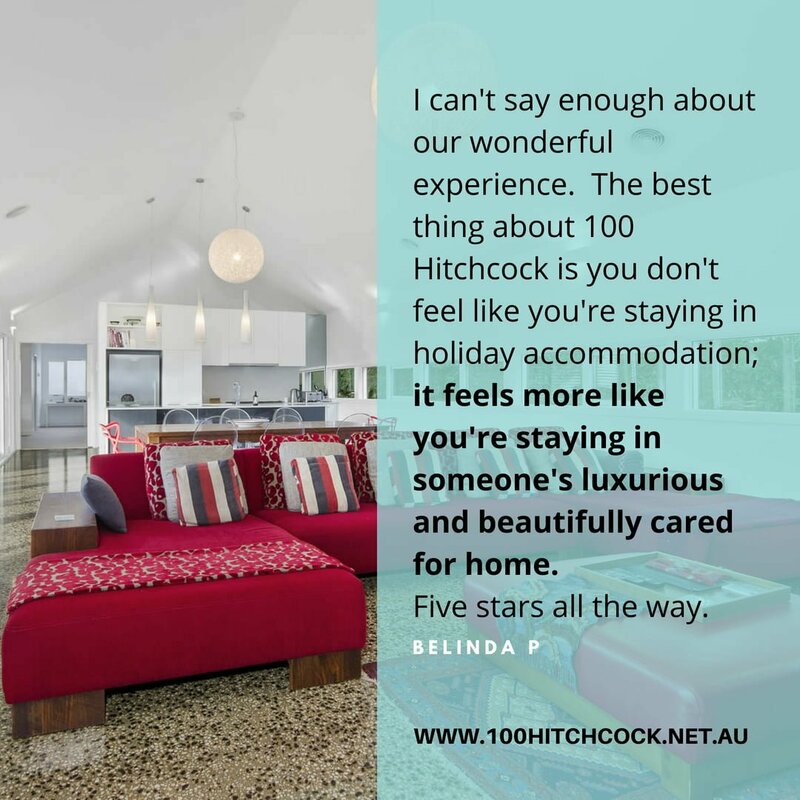 Find out what our previous guests had to say about 100 Hitchcock. 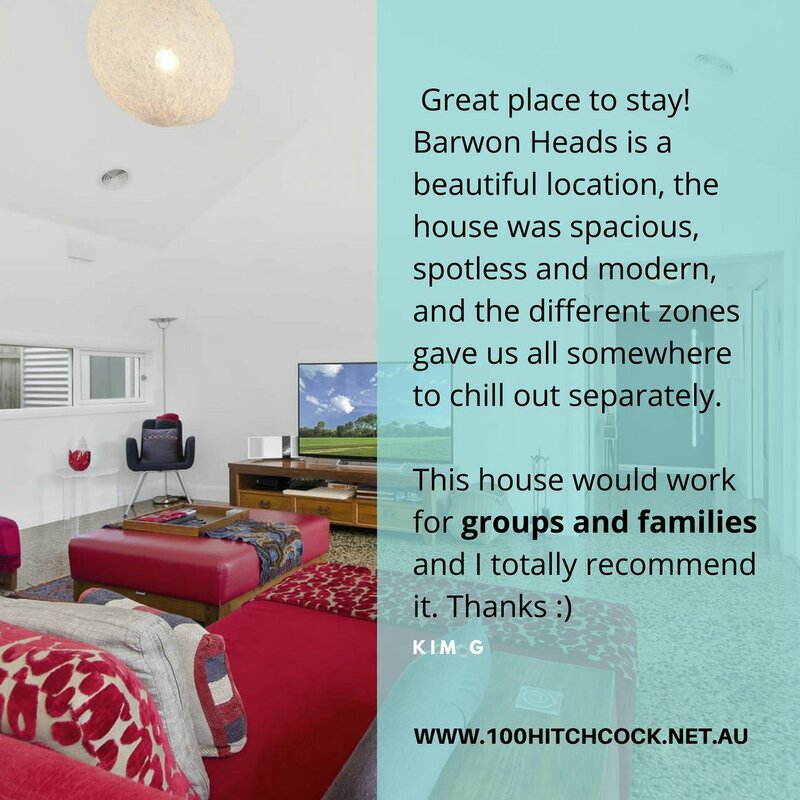 We strive to be the best accommodation in Barwon Heads. 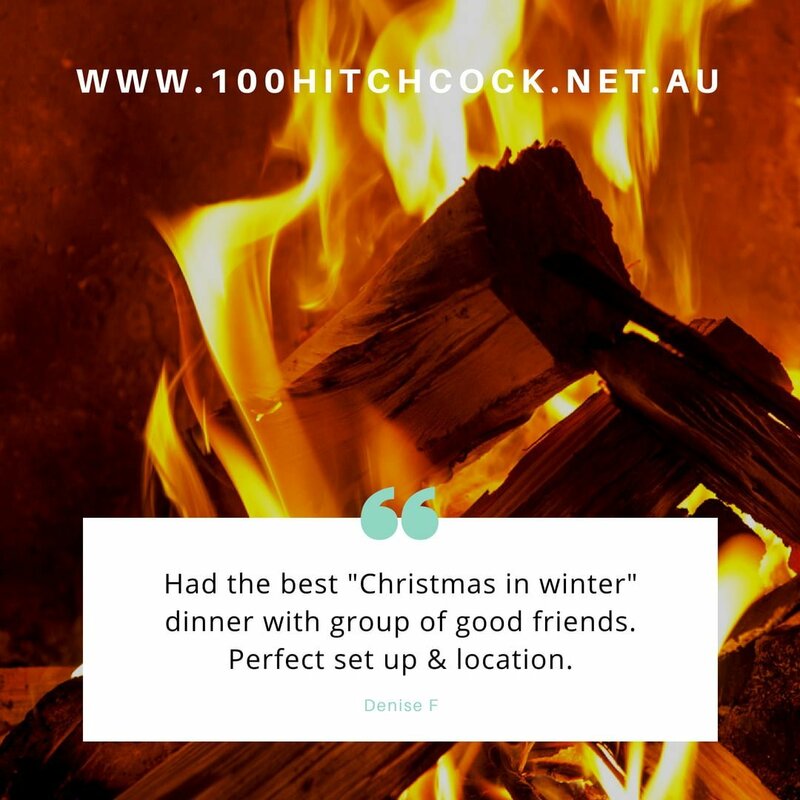 Reviews and feedback help us achieve this. Here are just some reviews we have received from Google, Airbnb, Facebook and Instagram. 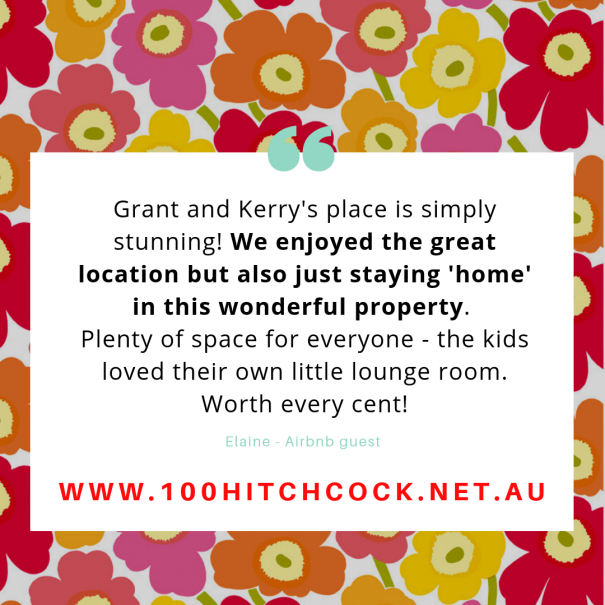 So, if these reviews convince you then check out our availability and tariffs below. 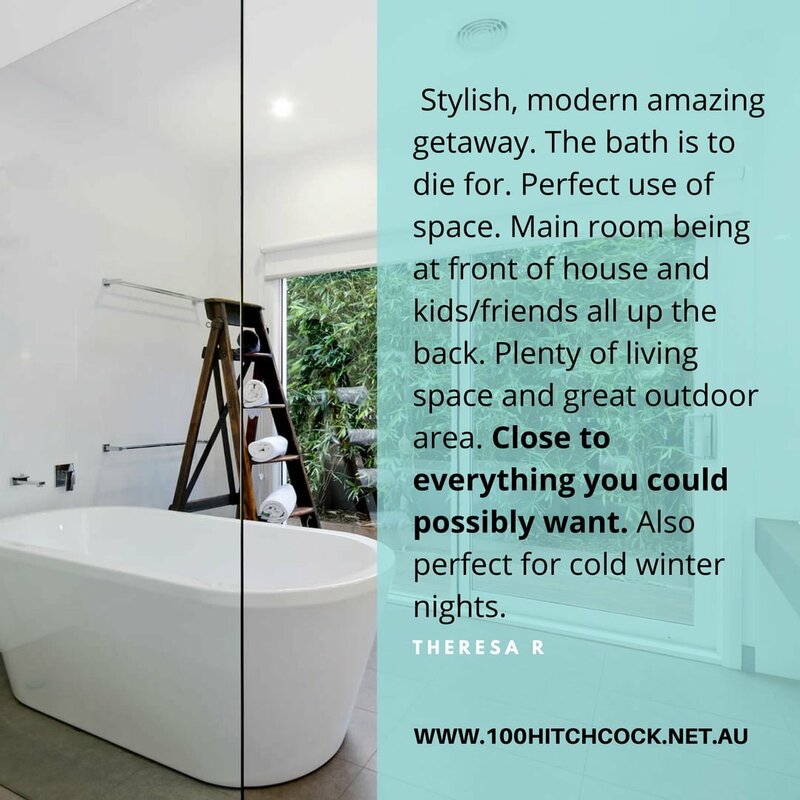 A perfect blend of luxury & value for money. Remember, your reviews are important to us. 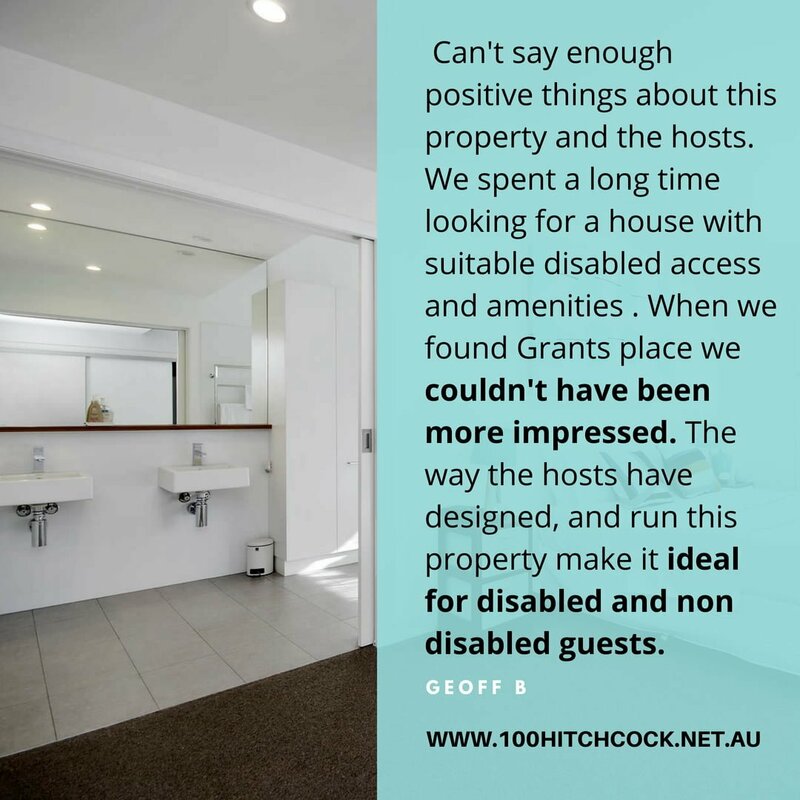 Because feedback, positive or otherwise helps us provide continual improvement in our guest's experience. 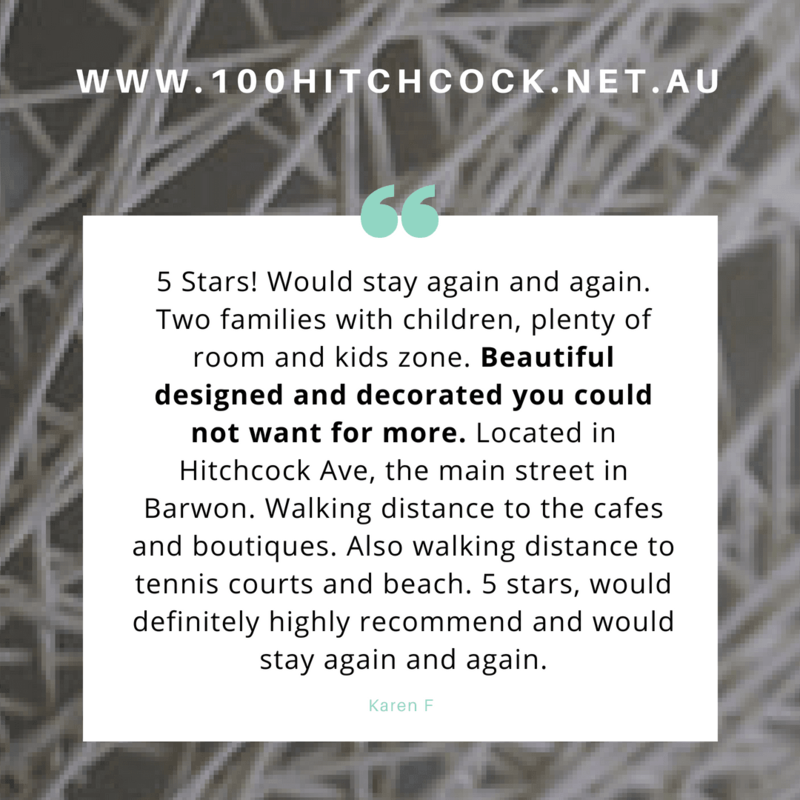 So, thank you for helping us achieve our goal to be the best accommodation in Barwon Heads. 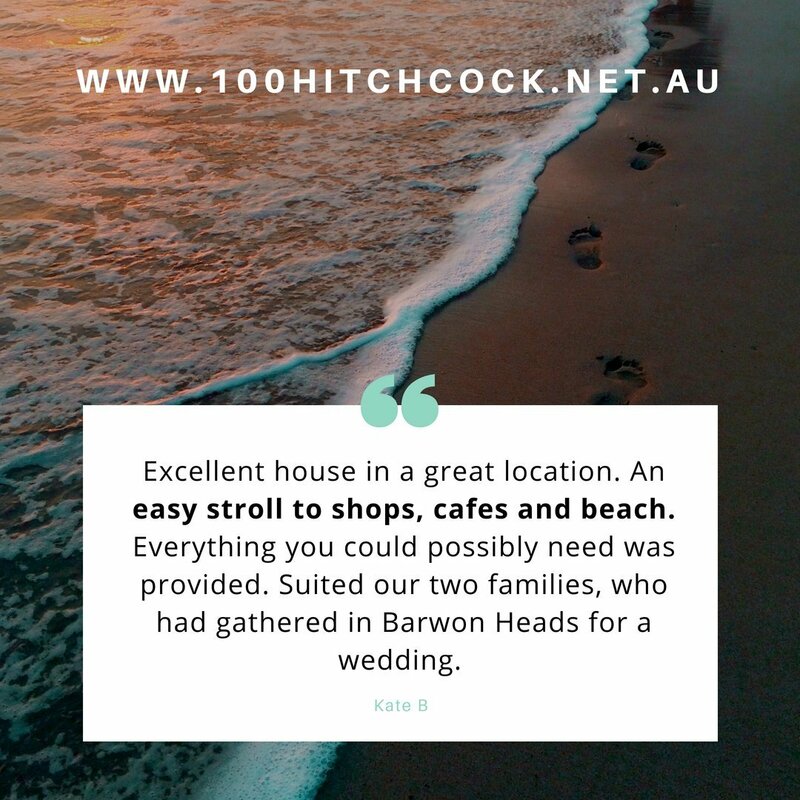 Furthermore, we aim to ensure you have the best holiday possible. 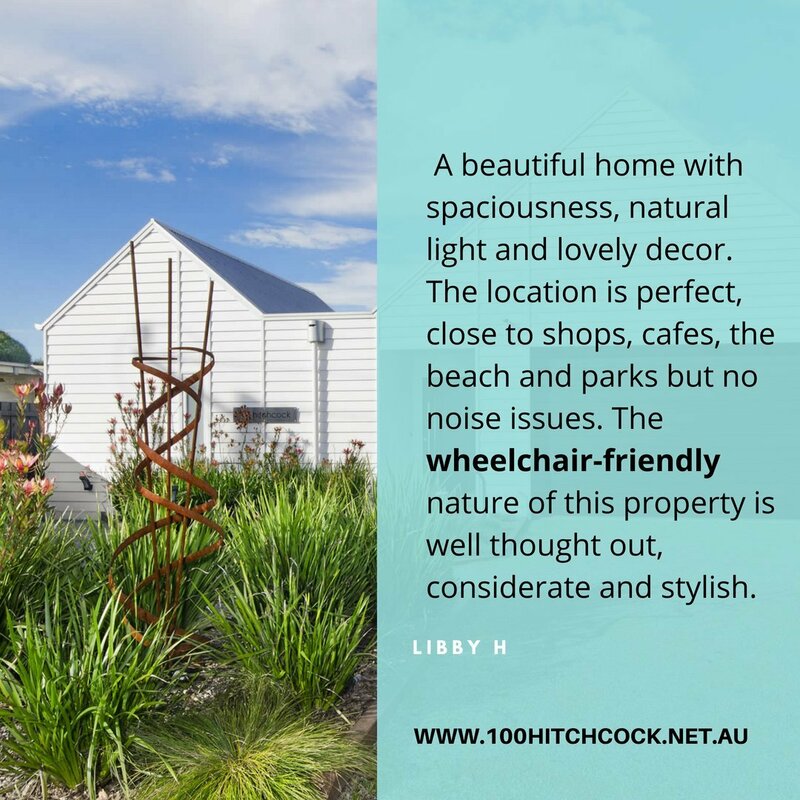 To achieve this, we regularly provide up to date information in our blogs. 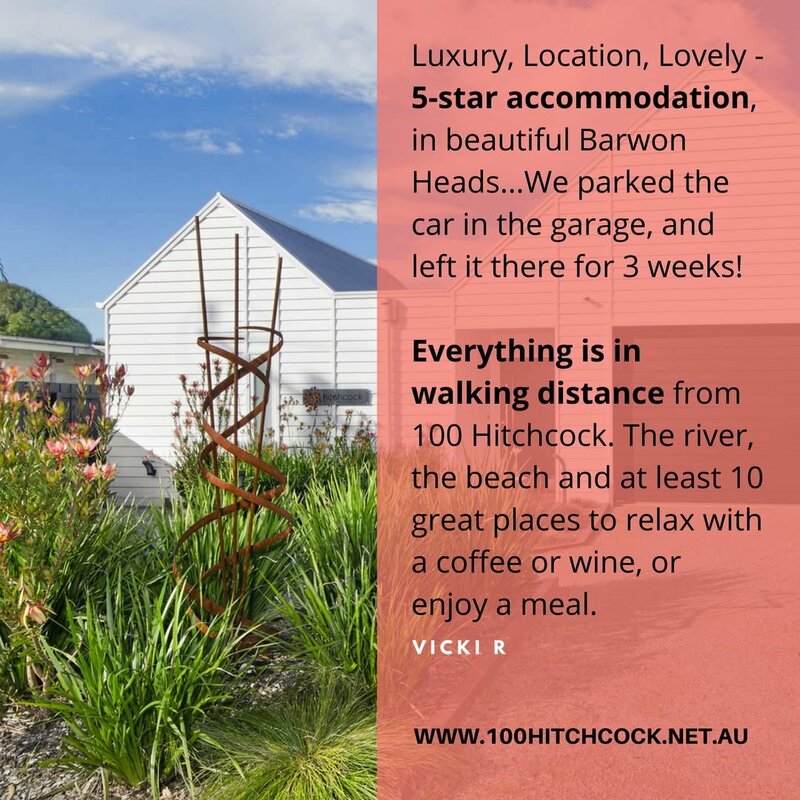 Find out what is happening in and around Barwon Heads and choose to veg around the house, enjoy long walks and beautiful beaches, wineries, festivals and markets. 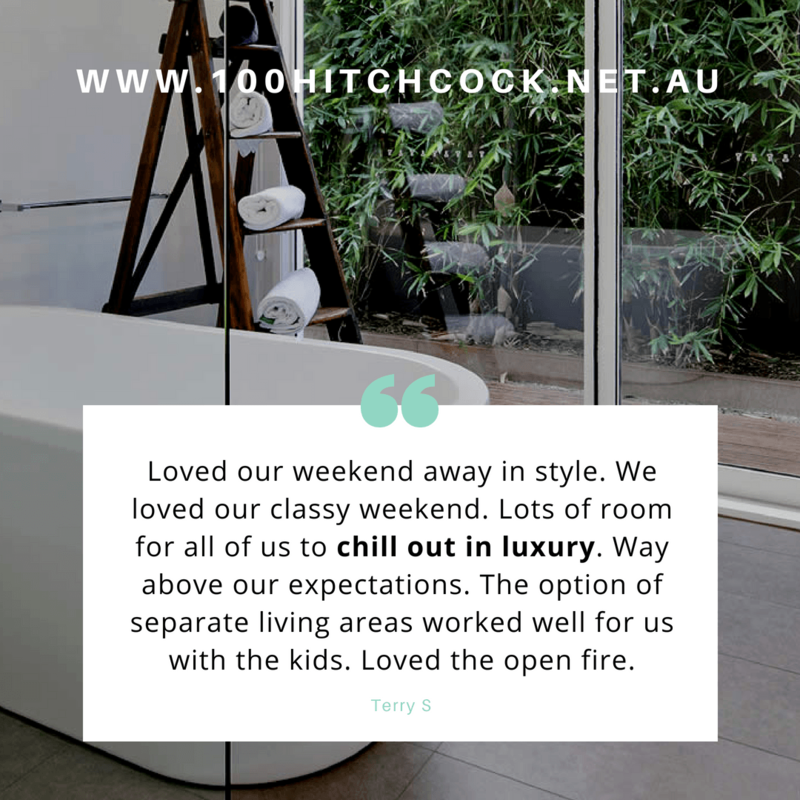 Check out our blog. 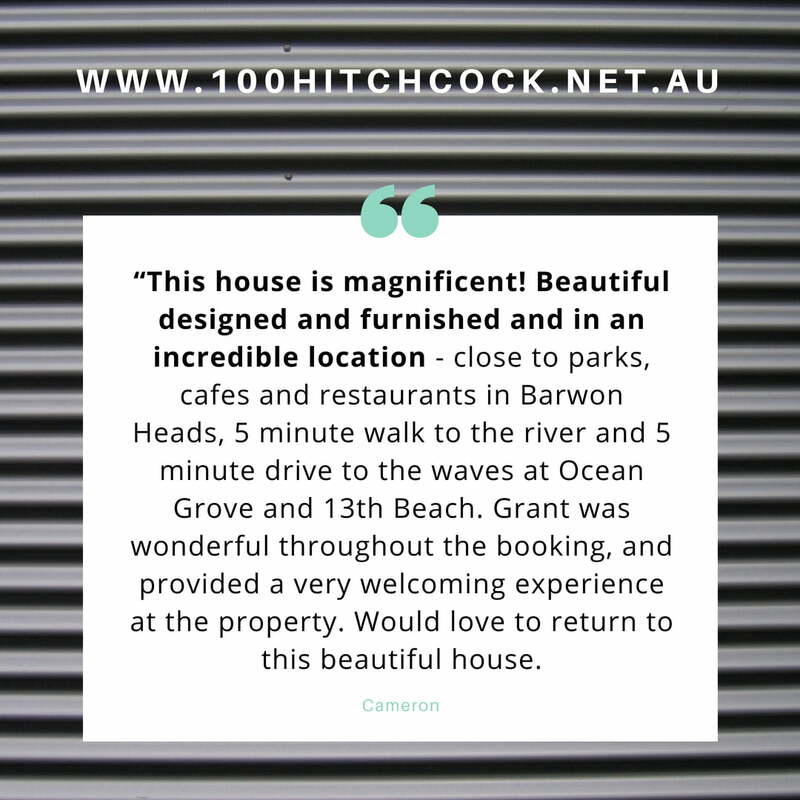 If you have stayed at 100 Hitchcock, we would love for you to leave a review.